Google fixeth and Google breaketh away. That's the mantra of any app or software update from our beloved company (we're really masochists, aren't we?). 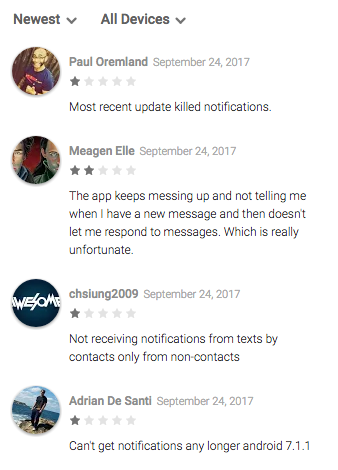 The latest update to version 2.5.207 of Android Messages seems to have broken one essential feature for a messenger app: notifications. It looks like notifications will stop working at some point in the app, thus no longer informing you of incoming SMS: no sound, no pop-up, no vibration. 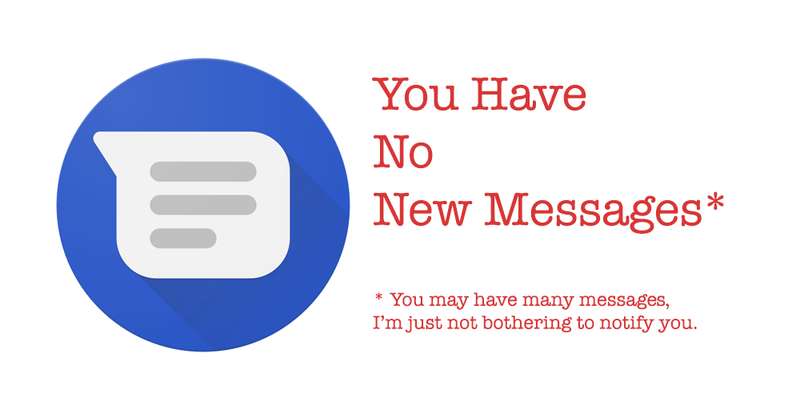 The only way to know you have new messages is either if you have Pushbullet mirroring SMS to a desktop computer or by looking at the unread counter in Nova Launcher for example. If you're affected by this issue, I guess you can try another SMS app in the meantime until the bug is fixed. And please do let us know if you found a way to bring back notifications.